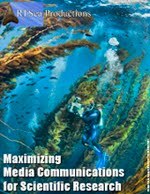 Across the globe there are a variety of underwater film festivals and ocean conservation events - all worth attending if we had the time and the airfare. 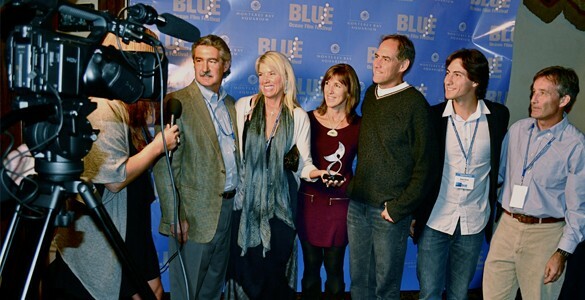 But very few bring together films, conservation, and the big names within both the ocean movement and the documentary industry quite like the BLUE Ocean Film Festival & Conservation Event does. Based now in Monterey, California, the BLUE Ocean Film Festival & Conservation Event (September 24-30) began just a few years ago, in 2009, in Savannah, Georgia, and in very short order BOFF has established itself as a major player in bringing together the great names and works of leading ocean filmmakers for the general public to enjoy. When not planning for the next bi-annual event, the festival takes its work on the road with BLUE On Tour, providing educational mini-festivals for communities and academic institutions around the world. This year, there will be a wide range of films for the public to see, from spectacular new works from major studios and networks to the films of emerging, next-generation filmmakers - no home movies or what-I-did-on-my-vacation videos here, but real first-class productions; films with a message that our oceans are amazing and need to be protected and preserved. Along with the films, BOFF offers an industry conference complete with panel discussions, master classes, and seminars that include some of the biggest names in the nature documentary field. If you are an aspiring filmmaker or simply someone who would like to meet and pick the brains of such great talent, it's a wonderful opportunity to do so in a relaxed, congenial atmosphere. This year, James Cameron, Capt. Don Walsh, and members of the Cousteau clan will be on hand and that's just scratching the surface of what's planned. And finally, there are the ocean conservation events planned, with keynote addresses from such notables as Drs. 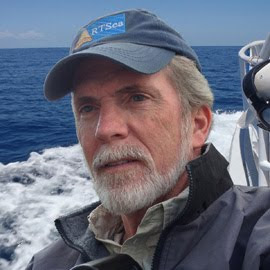 Sylvia Earle (SEAlliance), Greg Stone (Conservation International) and David Guggenheim (the "Ocean Doctor") and other experts in the field who will be tackling the tough issues and discussing solutions to the many threats to our marine ecosystems. Frankly, there is so much going on at BOFF, the greatest challenge is how to take it all in. I have been fortunate and honored to have been a participant in the festival from it's beginning, moderating shark conservation panels or conducting underwater video workshops. I will be there again this year and I always look forward to catching up with colleagues I haven't seen in a while or meeting new people, new ocean advocates. It helps recharge the batteries of enthusiasm and commitment. There are various types of ticket passes available depending on your interests and schedule, from one-day passes to the whole enchilada. 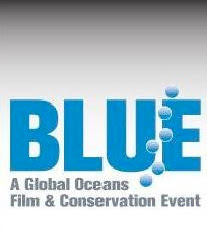 Monterey is a lovely destination all by itself, so if you are looking for a pleasurable and informative few days along the Central California coast, check out the BLUE Ocean Film Festival & Conservation Event website.